Yeh Rishta Dark side of Purushottam gets known to Naira. Dadi tells Rama that she wants a grand wedding for Samarth. Naira asks Dadi to keep a simple ceremony. 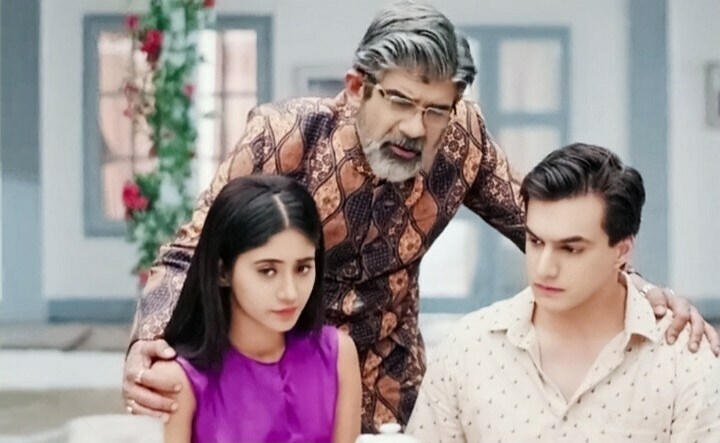 Dadi asks Naira to decide everything then. She is upset that Naira wants to always have an upper hand. She asks Naira not to talk between elders. Dadi blesses Gayu. Rama handles the matter. Naira asks Rama not to rush for things, else Dadi will doubt on them. Rama doesn’t want Dadi to get offended. Gayu is okay with everything. She feels nothing matters. She compromises with everything. She tells the reason for her marriage. She wants to raise Vivaan’s child. She takes the marriage decision just to keep her child. She lies that she is very happy. Naira knows her lies. She feels bad for Gayu. Meanwhile, Purushottam praises Kartik’s capabilities. He tells Kartik that he trusts him a lot and if there is some loss, he will bear it. He assures him that he will always be there to support him. Naira feels that she misunderstood Purushottam. Mansi is still at discomfort with his presence. Dadi tells the family that Shagun rasam went well. Purushottam tells Dadi about his new project, which he wants Anmol to head. He wants Dadi to explain Mansi. Dadi asks him not to force Anmol, since Mansi and Anmol are already happy with their work. Purushottam tells her that he will talk to Mansi and explain that he is her well wisher. Mansi stays affected by the past. She wants to refuse any kind of his help. Kartik and Naira plan to stay back at home and finish their work, until the family goes for shopping. Purushottam asks Naira to make some good food for him. He fools everyone by his fake drama. Kartik praises him for being so generous and positive always. Dadi wants to know why is Mansi so upset. She asks Mansi to forget the past and not make it an issue. Anmol is keen to accept Purushottam’s deal. Mansi thinks otherwise. Naira prepares the food for Purushottam, while Kartik goes away from the home for work. Mansi learns that Naira is alone at home with Purushottam. She gets worried. Purushottam scares Naira for a while. He tells Naira that his meeting got cancelled, so he will be home now. He asks her to make tea for him. Purushottam makes Kartik stuck in work. Kartik leaves for home. Purushottam shows his dark side to Naira. He misbehaves with Naira. Kartik reaches there on hearing her scream, but doesn’t doubt on Purushottam, who cooks up a story in time. Purushottam tells Kartik that Naira is hurt and he was just showing her wound. Kartik takes Naira for aid. He tells her about Gayu’s call. Purushottam enjoys the hide and seek game. He likes to keep his intentions hidden. Naira gets treated. She has seen Purushottam’s truth and stays upset. Kartik and Gayu don’t want Naira to stay worried. Naira has no way to prove her point. She doesn’t want to tell Kartik anything until she gets a proof. Kartik pacifies Naira. He asks her not to have any tensions. He wants to know why is she bothered. She tells him regarding Purushottam. He tells her that Purushottam is a great man. He makes her laugh and relieves her tensions. Naira then heads to home and reveals Gayu’s pregnancy truth to Dadi. 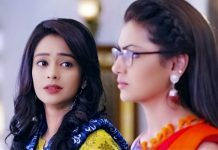 She wants Dadi to think well and decide in Gayu’s favor. Dadi gets in big dilemma over Samarth’s chosen girl.